The creator of Maxscript (John Wainwright) has made his previously commercial training DVD available for free on Vimeo! It's broken up into easy to watch chunks and even though it's a bit dated it remains one of the best introductions to MAXScript available. A sincere thanks from the ScriptSpot community to John Wainwright for releasing his incredibly valuable training series for free and to our very own "Garp" for putting in the time to get the video split into sections & uploaded. Thanks! I've been seeing a lot of discussion about using Python with 3ds Max for quite a while now... I'd love to get some resources up describing Python - 3ds Max integration / workflow / processes. If you've got or would write a beginner tutorial or even an advanced tutorial, please share it with the community! Some questions to get the ball rolling... What is Python? How does it compare to MAXScript? Why should someone use Python? Is Python best for end users or developers? How do you create a simple "hello world" Python script? 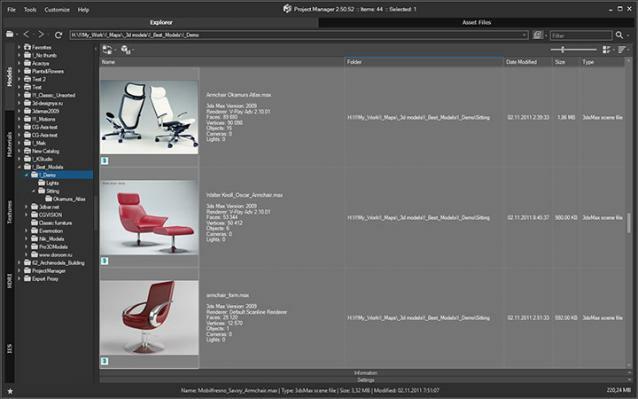 Using the FilePathFinder you can be sure that you have a complete control over external links into your scenes. Asset tracking features include support for XREF files and easy linking with external files. Using the FilePathFinder (and Batch Render&Relink), you can search for missing assets and relink external files. 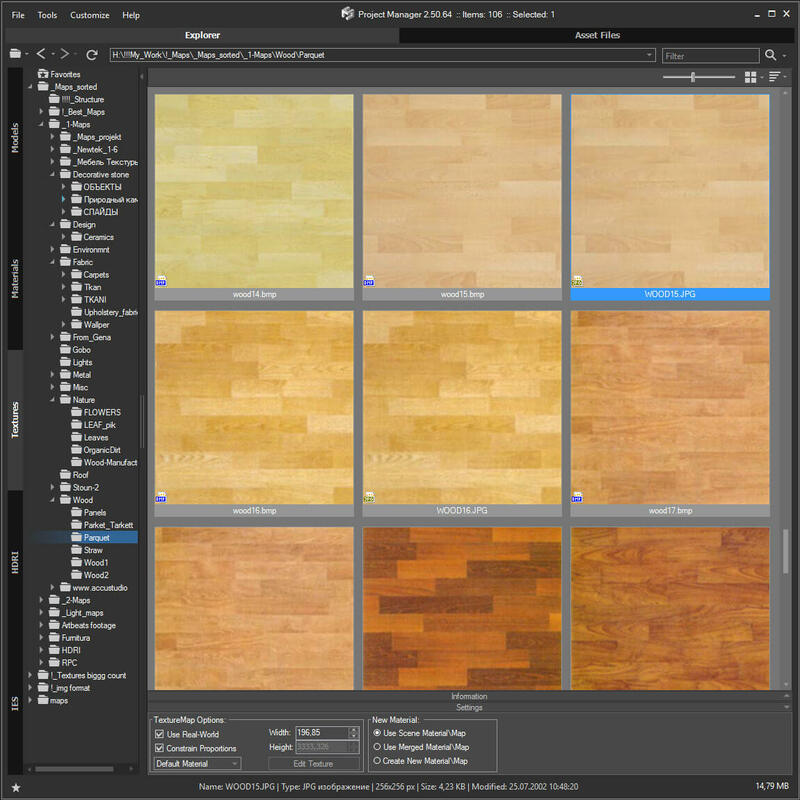 In addition, files that are linked to selected objects are displayed in Interactive Mode, and bitmap textures can be toggled and placed within the Material Editor. Also with this tool you can easy make an archive a 3ds Max scene. 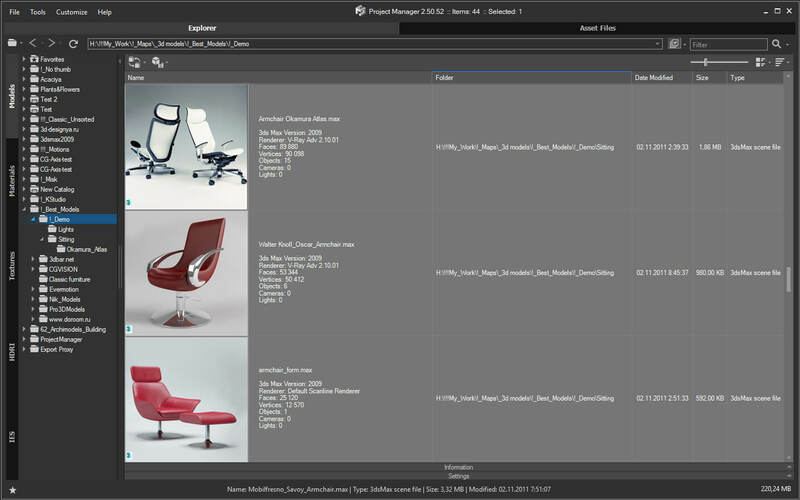 Note that FilePathFinder supports the highest number of asset types of any plug-in. 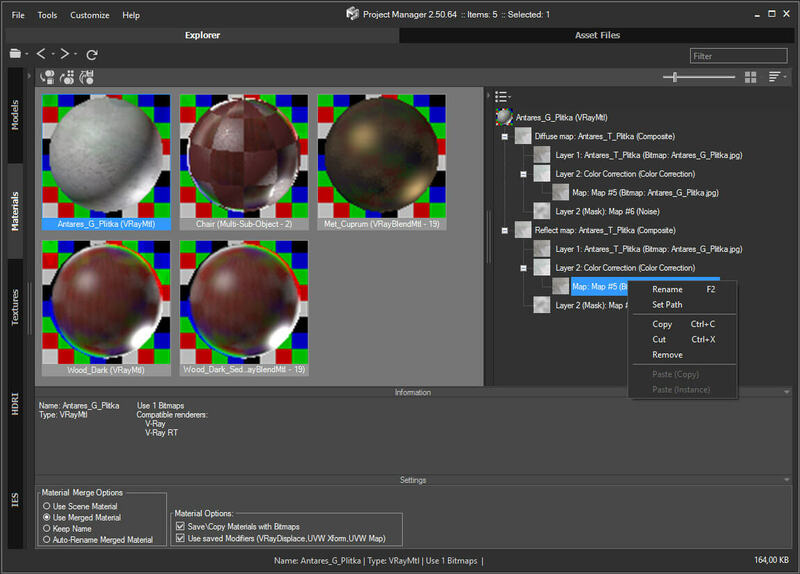 For example, FilePathFinder is the only plugin that can display and relink Vray Lens effects, even with missing bitmaps. In addition, scenes may be archived and easily sent to render services such as RebusFarm. 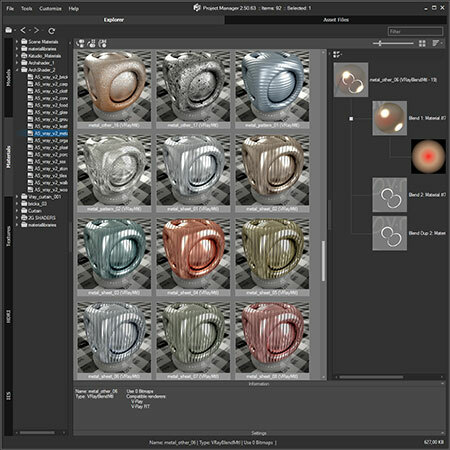 The Batch Render&Relink tool helps manage your asset files into the 3D model and material libraries in Batch Mode. BR&R is capable of rendering thumbnails for 3D models, materials, and IES photometric files. Batch Mode makes for an easy way to gather and compile many assets at once. 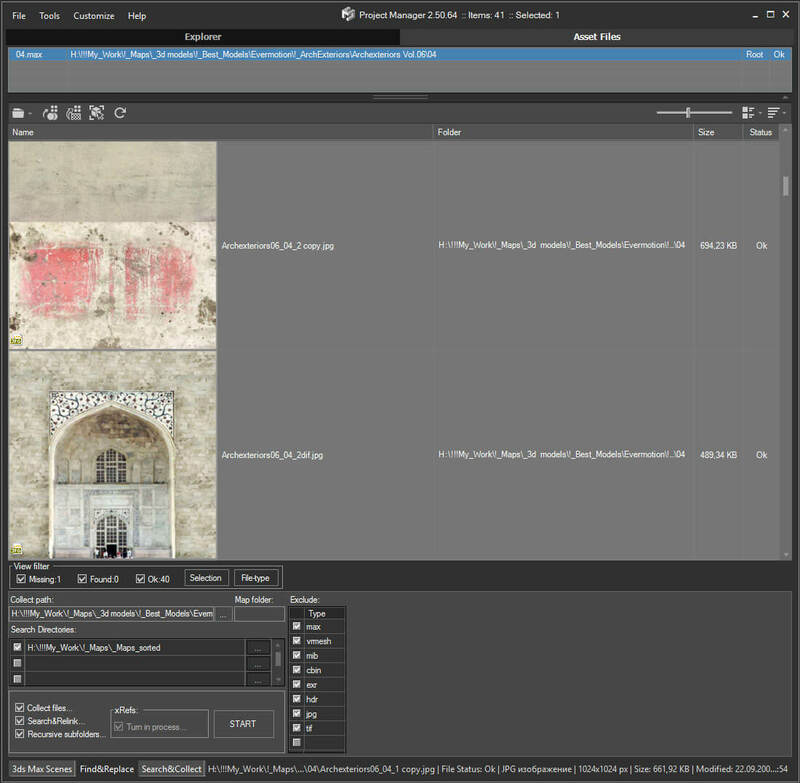 Speeds up the relinking of asset files for complex scenes up to 5 times. Fixes some minor issues with renaming items in the listview. Fixes an issue with selecting Vray Proxies by file-name. Easy to organize and use 3ds Max Models, Materials, Textures and IES Photometric Lights. Merge Models, Materials, Bitmaps and IES using Drag& Drop. Interactive rendering previews for Materials, IES Photometric, BVH Motion capture, FBX, OBJ, 3DS and other such 3d files. Show native previews for 3ds Max files, GrowFx, Revit, Substance, BIP motion, SketchUp, Revit, HDRI & etc. Search files by tags and file-names. Support to most used renderers like V-Ray, Corona, Octane, Mental Ray, Maxwell & etc. A smarter method for setting up the pivot for meshes when exporting to a proxy. Some changes for saving a Proxy with material. Adds a new API method - MakeProxyFromFile. See the example in the file "AddToForest.ms" in the "presets" directory. Fixes an issue with API method "ConvertToProxy". Fixes an issue with creating the Final Render Proxy. Fixes an issue with creating the RedShift Proxy. Fixes some issues with optimization when generating PDF. Fixes some minor issues with comparing external files with the same name but different content. Fixes some other minor issues. 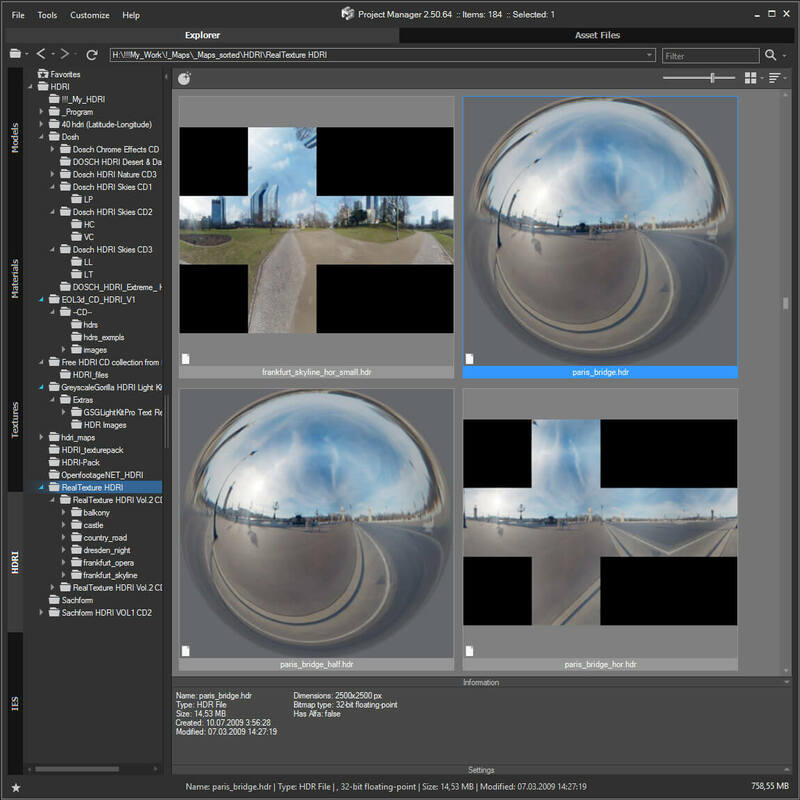 Project Manager version 2.94.12 receives a great capability to interactive rendering of FBX, OBJ, 3DS and other such 3d files. when opening a folder with this type of 3D content, previews will be automatically generated for them. If you need to consider the model in more detail, you can open it in a separate 3D viewport of Project Manager. This version of Project Manager receives an ability to work with GrowFX - plant modelling system. Now you can see native embedded thumbnail, create GrowFX objects by dragging the .GFX files into viewport and convert them to Proxy on the fly. Update History for all versions. This Universal Material Converter is an enhanced version of the old AMC script. It convert materials between renderengines. It converts from Autodesk Materials and also converts textures as much as possible when needed. Currently supported renderengines are: MentalRay, V-Ray, iRay, Corona, Scanline. You will need at least have a demo version of the renderengines installed if you want to be able to support conversions. While for example converting a V-Ray material to Corona, it will also convert bitmaps to Corona-bitmaps and VRayDirtmap to CoronaAO. SolidRocks adjusts and optimise all needed Vray parameters to reach the best rendertime/quality ratio. Learn Vray progressively, see in realtime changes made by SolidRocks when you change resolution/quality. This script aims to replace standard 3dsmax's Batch Render and imitates Houdini Output Node workflow. Using it you can specify rendering parameters - frame size, frame number, output path - directly to camera object, so every camera in scene 'knows' what it intended to render. 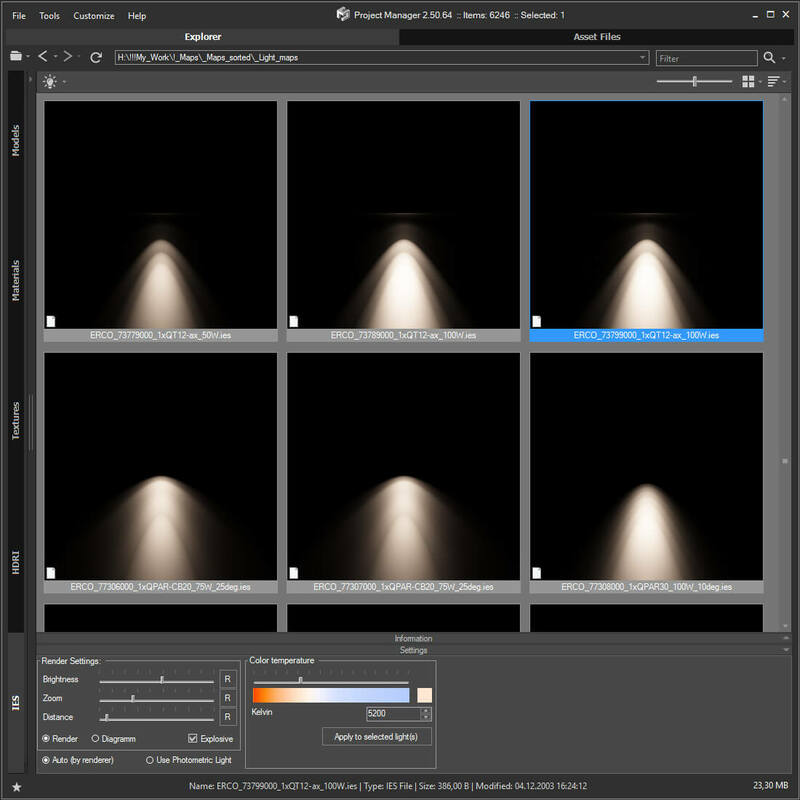 Additional functionality is Lighting Assignment - you can specify which light will be turn on or off for selected camera during the rendering. Very basic imlementation, it allows you to submit your jobs on a deadline server. Enter deadline repository address and check "Use Deadline" checkbox. Other checkbox doesn't matter in this case ("Net render", "Show Submit Dialog"). Probably it requires Deadline 3ds max Submitter installed. I didn't have a chance to check it on a clean machine. Bugfix - Net render not starting after cancelling during local rendering. Added support of using MFRender script to render scenes through BatchCamera script. v 2.8.00 Added Exclude text field for filtering by name. Editing Refrence targets Tab now working!!! This means you can mass edit FumeFX object settings such as speed multipliers and other FumeFX and TP properties that were previously impossible to edit! Edit ALL modifiers, ALL objects, ALL Materials, All Controllers, ALL Shadow types and ALL atmospherics/Render Effects. Work in max from a "Class-centric" way rather than a per object way. 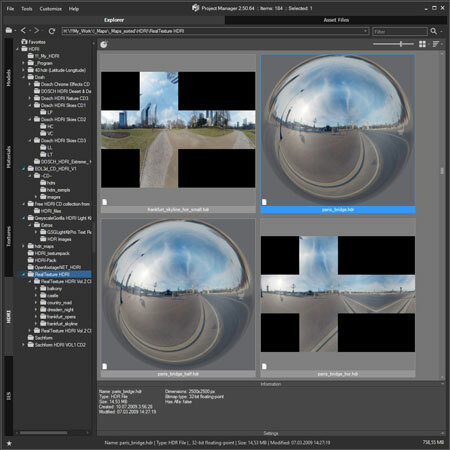 Edit thousands of object's perameters, randomize thousands of seeds, enable thousands of modifiers and more with a few clicks! FULL INSTANCE/REFRENCE TOOLS: Make all objects/modifiers of a class or selection instances. Make Base object refrences. replace base objects with another obj (eg make all selected boxes an instance of a vrax proxie.) Available for Modifiers and Base objects only ATM. LOAD/SAVE PRESETS: Load and save presets in xml format for modifiers, objects, etc. Modifiers: Enable, Disable, Enable in viewport, Disable in viewport. PointCache Modifiers: Set ranges, Set path, Flush path, Reload, Record. Lights: Turn all, selected, selected classes on or off. Multiply all light vlaues. Materials: Show/Hide In Viewport: Shows the material in the viewport. Doesnt work with texture maps yet. Spring Controller: Modifyspring controller settings (Needs its own section as springs are controlled differently with maxscript). Management the Material ID and Objects ID. Assigning a wirecolor for objects. Automated creation MultiMatteElement for V-Ray renderer. Automated creation MatteRenderElement for Mental Ray renderer. Automate creation of CMasking_Mask for Corona Renderer. Fixes a issue with placing to Medit the vray materials by effectID. Adds ability to assign ID to materials by material type. Add support to EffectsChannelEx from Pavel Kuznetsov. This plugin allow to work with Material ID Channel in the range from 0 to 255.
if you not use this plugin the "EffectsChannel" script will be working as previously. 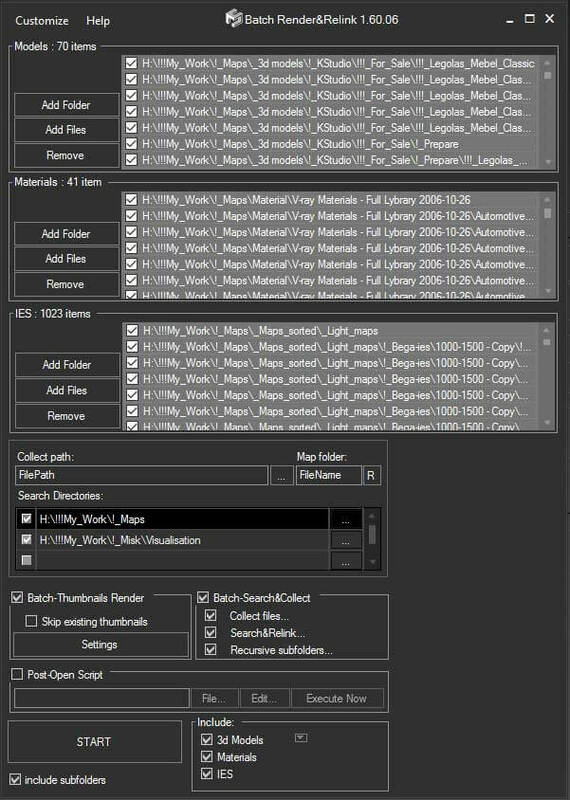 This is a small script for completely removing all references to missing plugins from your 3ds Max scene. For more details when running the tool, make sure to also read the info printed to the MAXScript listener. Use with care (!) and do not save the results under the same file name! The script will replace any missing plugin object with the first usable alternative object of the same class (e.g. a missing render effect will be replaced by the first available render effect). I cannot give any guarantees this will not mess up your data, your machine or your live.